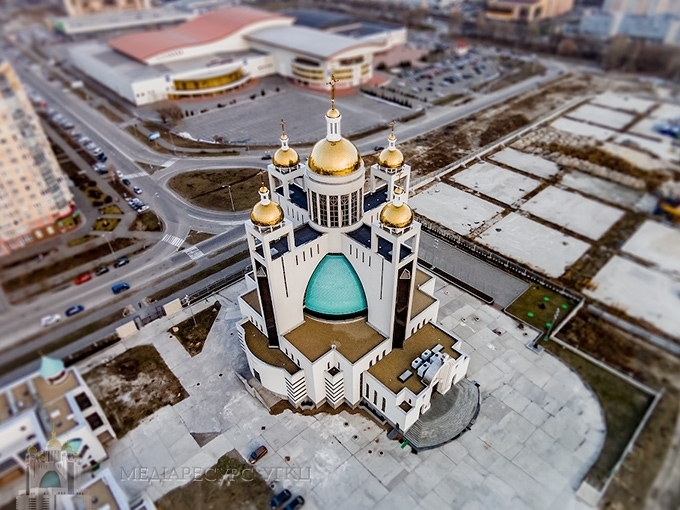 We again emphasize that our position stems from a desire to protect the Patriarchal Cathedral of the Ukrainian Greek-Catholic Church, which was built by Greek Catholics donating their money around the world, from the negative impact and damage, the cause of which is the incompliance with the regulations in the construction business. This is claimed in an official statement of the Ukrainian Greek Catholic Church regarding the destruction of the Patriarchal Cathedral of the Resurrection Church in Kyiv because of incompliance with the legal regulations by neighboring scandalous construction site and lack of proper control by the authorities. The resumption of the controversial construction in Mykilska Slobodka in Kyiv, near the Patriarchal Cathedral of the Resurrection was the reason to present this official position. The official statement also announced that the land plot on which the improvements are carried out as part of preparation for Eurovision-2017, does not belong to the UGCC and is owned by the state bank "Oshchadbank". The UGCC also does not understand the situation how the scandalous developer conducts construction and landscape works on land that is owned by the said bank before having acquired the land plot beside the two houses. The Church further asserts the position according to which the purpose of land around the Patriarchal Cathedral should be saved in line with the requirements for the conservation of monuments of the landscape "Historical landscape of Kyiv hills and Dnipro valley,” taking into account the coastal protection strip of 100 meters. In addition, the statement expresses concern about the fact that in Ukraine, unfortunately, the law does not work the same for all, therefore a “hundred-meter coastal zone” instead of becoming an axiom becomes the point for discussions. It is also indicated that the UGCC would ask for protection the countries whose citizens and entities have invested their money in the construction of the Patriarchal Cathedral of the UGCC and are willing to protect their investments, protecting the cathedral from destruction. It is reported by the Information Department of the UGCC.